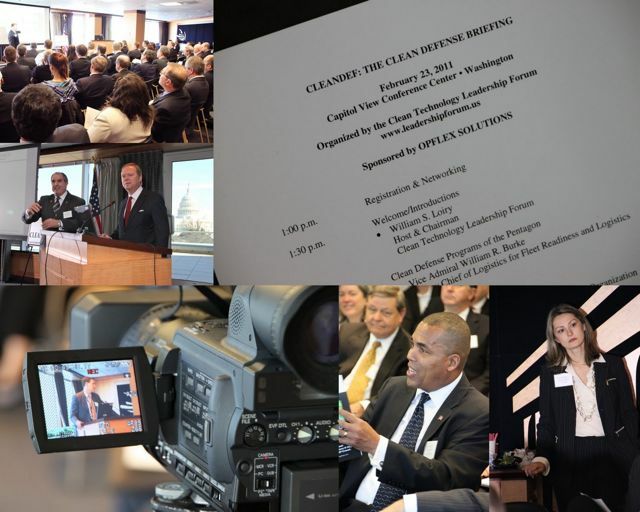 The 2013 CLEAN DEFENSE SUMMIT was held in Washington on Tuesday, April 2, 2013. Billions of dollars are being spent on achieving the Department of Defense mandate to achieve 25% renewable energy and energy efficiency by 2020. The Navy’s goal is 50%. 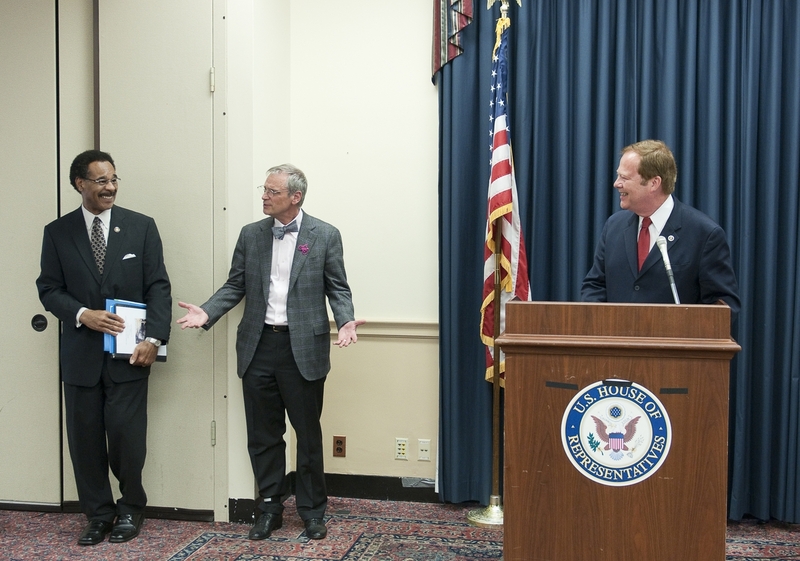 At the recent Naval Energy Forum, Navy Secretary Ray Mabus stated that Pentagon programs to meet the energy mandate are here to stay. 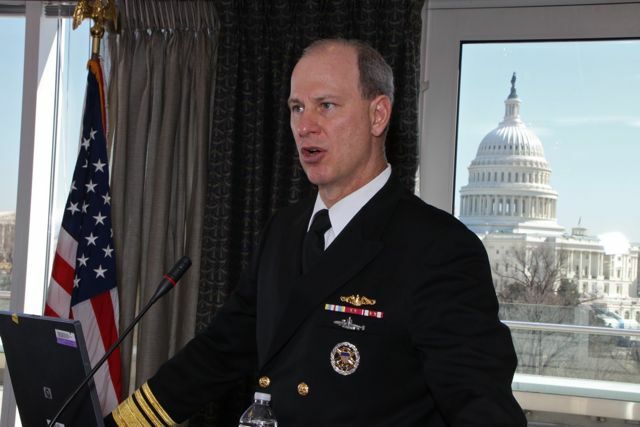 “There is clear and compelling evidence that the efforts the Navy is making to use energy more efficienctly will improve national security, will save money and save lives,” said Mabus. 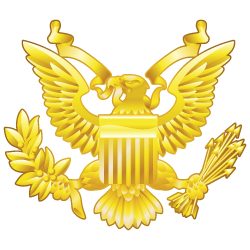 • The latest Pentagon interest in solar energy, wind energy, biofuels for jets, new battery packs and clean energy applications for the battlefield, vehicles using alternative energy, new energy efficiency applications for buildings, advanced materials, intelligent microgrid solutions, and new smart grid solutions. The 2013 CLEAN DEFENSE SUMMIT featured morning and afternoon general sessions, exhibits, and extensive networking. VIP Attendees were also invited to a VIP Reception. For more than a decade, the Summit organizers have brought together more than 45,000 leaders to identify solutions to our critical issues. More than 1,000 speakers have participated. 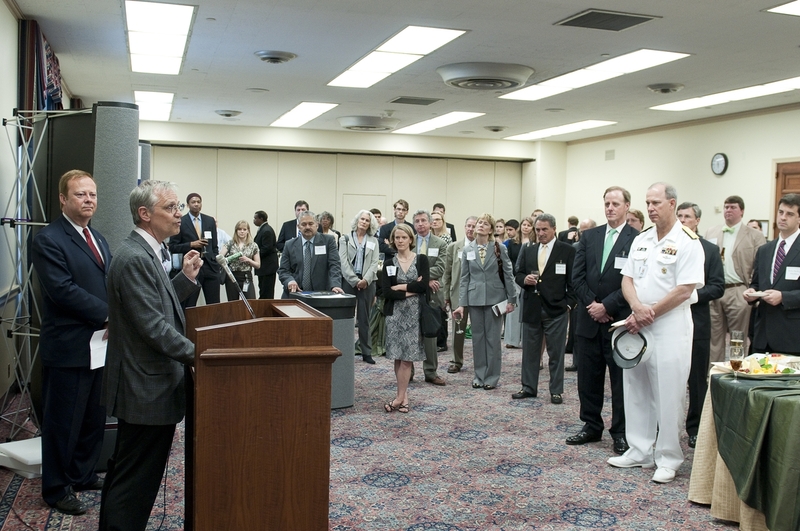 The CLEAN DEFENSE SUMMIT continues the momentum of very successful quarterly CLEAN DEFENSE Briefings and our Capitol Hill Defense Energy VIP Reception. Hundreds of top corporate executives have participated in our CLEANDEF events, which have featured top Pentagon officials and local military base commanders. 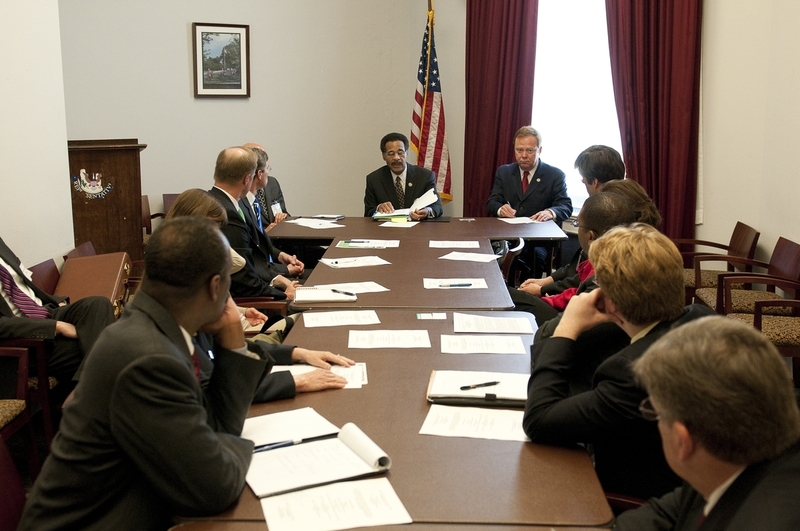 The first CLEAN DEFENSE SUMMIT was held in Washington on Wednesday, February 8, 2012. 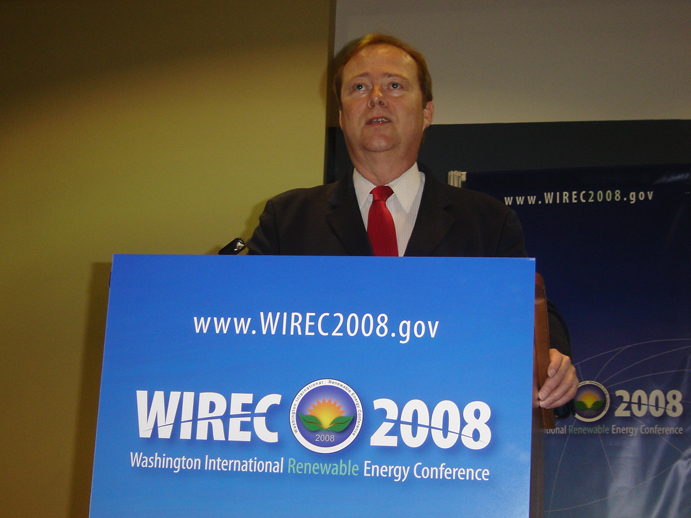 Sponsors of the 2012 CLEAN DEFENSE SUMMIT included Lockheed Martin, GridPoint, SolarWorld, The SPECTRUM Group, OriginOil, RAMMO, The Interstate Traveler Company, enXco, Net Zero Development Group, NZ Power Distribution, Green Lighting LED, Energy Shield, Gaco Western, Green Strategies, and Mintz Levin. 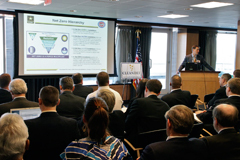 Top officials from the Office of the Secretary of Defense, U.S. Air Force, U.S. Army, U.S. Navy, Defense Logistics Agency, and senior business leaders provided major presentations at the 2012 CLEAN DEFENSE SUMMIT. For more information, contact us at info@leadershipforum.us.